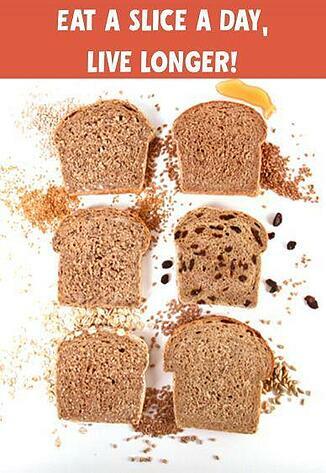 Whole Grains’ Health Benefits Study: Eat a Slice a Day, Live Longer! Have you heard the saying, “An apple a day keeps the doctor away?” Well, according to important new research, a new saying may be in order. 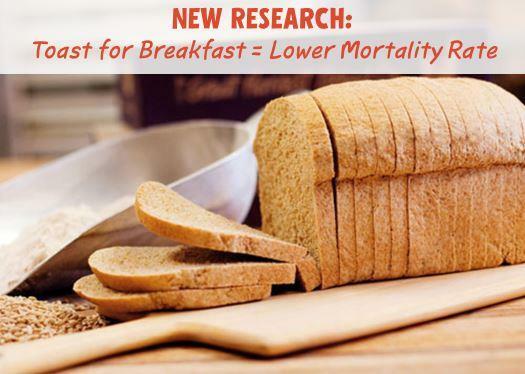 Based on 25 years’ worth of data collected from over 100,000 people, there’s now one more reason to feel good about your daily bread: it may make you live longer! Simply swap out one daily serving of refined grains for one piece of toasted Honey Whole Wheat (or any 28 gram serving of whole grains) and you can lower your risk of death from cardiovascular disease by 8%, and lower your overall mortality rate, according to new research. Whole grains’ significant health benefits have been recognized by health care and nutrition professionals around the world, and evidenced in study after study (see Health Studies on Whole Grains at the Whole Grains Council’s website). In 2010, the Dietary Guidelines for Americans were updated to make whole grains a major theme. New research recently published in the Journal of the American Medical Association (JAMA) adds even more scientific support for whole grains’ health benefits. In “Association Between Dietary Whole Grain Intake and Risk of Mortality,” the authors carefully analyzed decades’ worth of data from two large prospective cohort studies to examine the association between mortality risk and whole grain consumption. Both studies were limited to participants in the U.S. who were free of cardiovascular disease and cancer upon starting the study. The first study followed over 74,300 women between 1984 and 2010; the second study followed over 43,700 men from 1986 to 2010. Both studies followed protocol approved by the Human Research Committees of both Brigham and Women’s Hospital and the Harvard School of Public Health, controlling for age, ethnicity, physical activity, body mass index (BMI), smoking status, alcohol intake, multivitamin use, aspirin use, family history of heart disease, cancer, or diabetes, a history of hypertension, high cholesterol, or diabetes at baseline, menopausal status, and postmenopausal hormone use. Not only did they find that higher intake of whole grains was significantly associated with lower mortality due to cardiovascular disease, it was also associated with lower mortality across the board. From the data, the authors were able to estimate that for every 28 grams of whole grain consumption per day there was an associated 5% reduction in total mortality and a whopping 9% reduction in mortality from cardiovascular disease. That's just one 2 oz. slice of our Honey Whole Wheat Bread! How does that compare to the health impact of refined grain consumption? The researchers found that although there was a reduction in total mortality for every 28 grams of refined grains, the amount was small and no association with reduced death from cardiovascular disease was found. 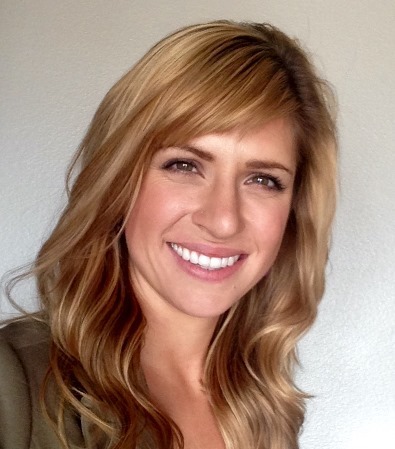 Further analysis showed simple dietary swaps can yield major health rewards. 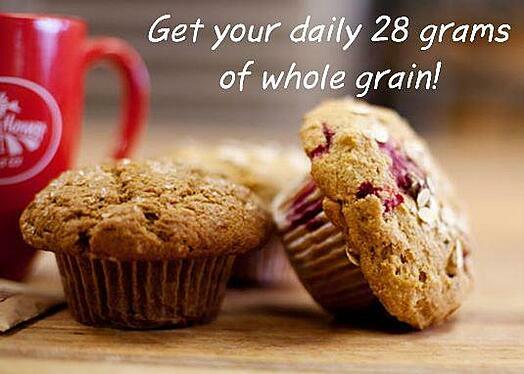 Swap just one serving of refined grains every day for one serving of whole grains. The associated health benefits identified in the study: 8% reduction in death from cardiovascular disease and 4% reduction in total mortality. Swap daily red meat consumption for just one serving of whole grains every day. This research showed associated health benefits of 20% reduction in death from cardiovascular disease and 10% reduction in total mortality. Significant associations with lower total mortality and cardiovascular mortality were noted with added bran intake. No associations with lower total mortality or cardiovascular mortality were noted by consuming the germ portion of the grain by itself. Based on this research, whole grain intake was associated with lower mortality due to colorectal cancer in men — but the relationship between whole grains and cancer mortality remains inconclusive. So what does all of this mean to you? Well, quite a bit. By adding just 28 grams of whole grains to your diet every day you can reduce your risk of dying from heart disease and extend the length of your life. And of course, you will always find 29 grams of freshly milled whole grain flour in just one 2 oz. slice of our made-from-scratch, fresh out of the oven Honey Whole Wheat Bread. 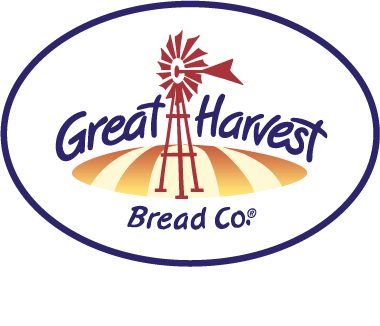 You can find these and other delicious ways to improve your health at a local Great Harvest. Hey, no one ever said healthy eating had to be hard! Wu H, Flint AJ, Qi Q, et al. Association Between Dietary Whole Grain Intake and Risk of Mortality: Two Large Prospective Studies in US Men and Women. JAMA Intern Med. Published online January 05, 2015. doi:10.1001/jamainternmed.2014.6283. Accessed online here.